Make your angle-grinder a problem-solver with TWINPOWER: Allows precise beveling, double-sided grinding and deburring in just one pass. Penetrates into grooves to remove sharp burs. All with one tool. 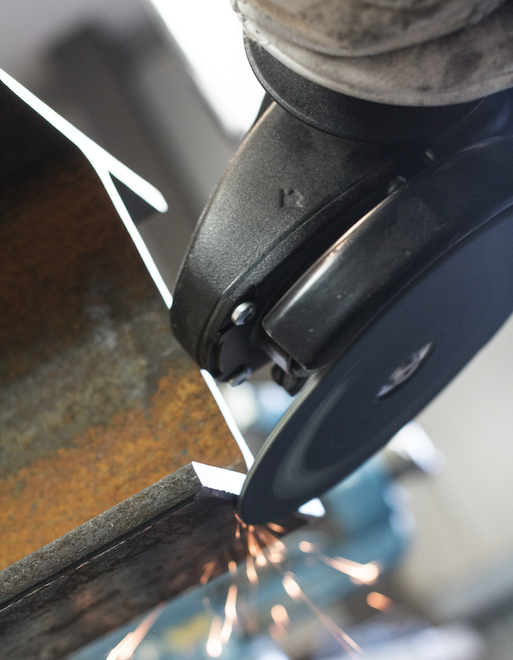 G-WENDT manufactures a wide range of professional tools for cutting, grinding, finishing and polishing applications. We convert coated abrasives into a deep and broad range of abrasive tools. For finishing and surface preparation we provide the highest quality nonwoven abrasives and SCM materials. 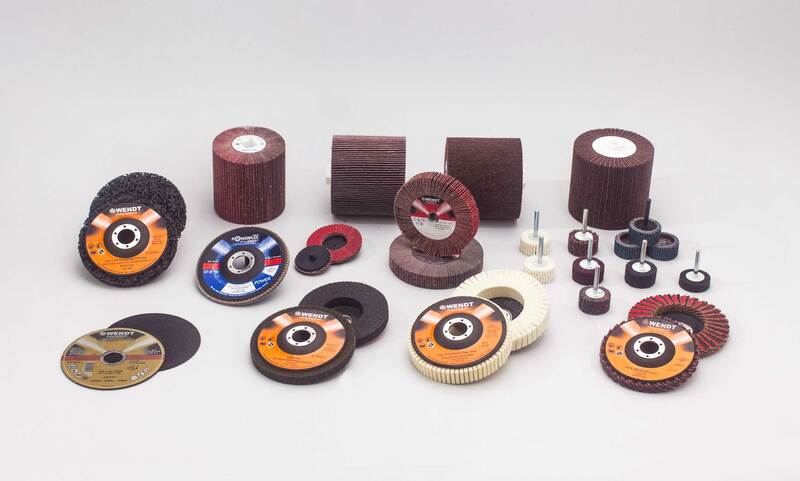 The product range is completed with our patented felt polishing tools for producing up to a mirror finish! With the FPM230 machine and its accessories we also offer a user friendly and versatile solution for a wide range of surface applications. At G-WENDT - Made in Germany - remains synonymous with unparalleled quality. For our customers this means above all: "Reliability, and a consistently high level of quality!" Since its founding in 1971 by Günter Wendt in Windeck, about 50 kilometers from Cologne, the company is recognized as a trusted family-run business. It has preserved its traditional values as it has grown and evolved into the new millenia. The approximately 200 employees in our company work together on a daily basis with one goal in mind – meeting the needs of our customers! From an early age, the current managing directors of the second generation, siblings Frank Wendt and Dr. Marion Wendt-Ginsberg, got to know the subtleties of grinding and polishing products. To this day, they can count on the advice and experiences of their father and mentor, Günter Wendt. In recent years, Frank Wendt has coached the company as it expanded its global presence. At the same time, Dr. Wendt-Ginsberg has overseen new product development as well as improving manufacturing efficiencies. Since 2001 regional offices have been established in the USA, the UK, Brazil, France and in Romania for the Eastern European market. This global footing ensures the company is well situated for the future. At Wendt – Made in Germany – remains synonymous with unparalleled quality.